It’s HARD to keep up with your goals, I know. I get it. If it feels as if things have been a struggle lately, I just wanted to let you know that I do understand. He shared that he doesn’t have time to eat right and indulges in quite a bit of candy and unhealthy food options. He also stated that stress can keep him from making any changes. I proceed to share how eating right and exercise go hand in hand in making life more simple. Planned foods, workouts to increase energy and lessens missed work due to sick days. This was followed by a list of “buts” – I’m a student. I have loans. I’m on a fixed budget, I work long hours…. With a reassuring smile I share that I get it, I am also a very busy business owner, I have 3 children, work long hours, have endless lists to conquer each day of the week and yet, I am still able to fit in my daily workouts and healthy meals; even if it’s just 10-15 minutes on certain days. I quickly explain that short bursts of strength training mixed in with some cardio moves can be done anywhere and with either body weight or some basic dumbbells. 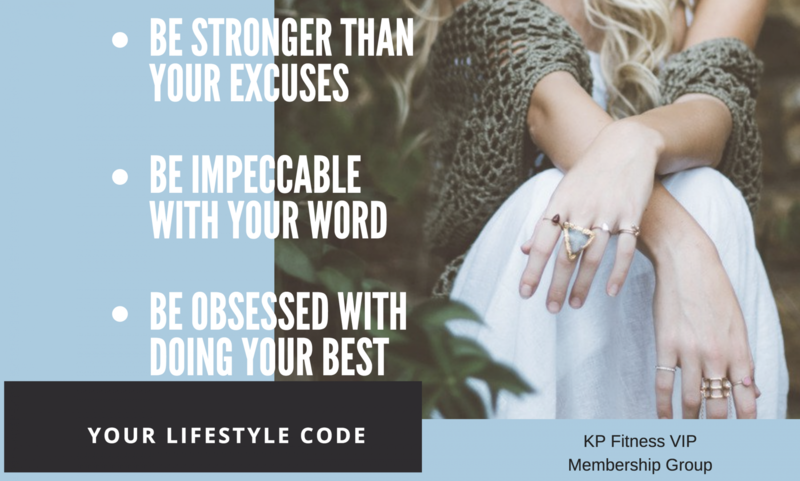 I also have access to dozens of workout programs, nutritional products and support that can bust through most excuses that get in the way of success. She continues to explain that she’s “tried everything” and her weight has remained unchanged, and if anything, she’s only gained more weight. It was difficult to not look at the food items she was buying that day; and many were packaged and processed choices. I gave the young cashier one more reassuring smile, wanting to spend more time giving him tips on what he can do while at the same time just wanting to remove myself from the negativity of the confrontational woman behind me. As I left the store, I had a feeling of heaviness and disappointment. I knew that I had been instantly judged by someone who only saw my current physical appearance and only heard me share one small piece of advice for results. The truth of the matter is that you have to work super hard at this EVERY single day!!! I too, have to work and I too, sometimes still struggle! What I’ve learned hasn’t been an overnight fix, but has taken over 20 years of battling and learning and growing. I made the decision that this is more important to me than just giving up and giving excuses. Who cares about our excuses anyway? The only people who do; are the same ones who have settled for the same excuses and enjoy complaining about all the reasons why it won’t/can’t work. I struggled on and off before I had ever started on my fitness and health journey. I focused on how the scale wouldn’t budge; day after day. I focused on how I would have unbearable food cravings that would sabotage my efforts of cutting back on calories. It seemed as though NOTHING was ever going to change! The reality was that progress was DEFINITELY happening. It was just happening much slower than I wanted it to happen. In our instant gratification lives, we expect change to happen tomorrow. We want to be the fittest and thinnest person immediately. But once I realized it wasn’t going to happen as fast as I wanted, I also decided that what I was doing WAS working in smaller ways. The key was to keep doing the daily habits and it would show up in a BIG way soon enough! Time would pass regardless, so why waste valuable time feeling miserable? I struggled to reach a higher level of fitness to be my very best to compete in my first fitness competition at the age of 40 – and now I’m almost 42 and still reaching and growing and changing in so many ways. The amount of discipline and hard work were intense at times and SOOO out of my comfort zones! I felt at times that I was in a separate, more lonely world. Not everyone understands the level of intensity when training for a competition of any kind. The reality is that it doesn’t have to be THIS extreme! Once I had accomplished my goal of competing, the thought crossed my mind to keep going. But honestly, my mind and body were a little bit “broken”. I felt that my sanity needed me to take it back to a more “natural” state again and settled into my life without constant training, preparing, resting and repeating. I began to struggle due to the depletion that had been done and reverted to some overly fun “treats” that lasted a bit longer than they should have. Needless to say, I started to put my weight back on (and quite quickly this time around) and found out I had gained 20 lbs in a short amount of time! It was time to get serious again and in a balanced and healthy “non-competitive” mode. This has been my mindset ever since and has stuck with me until now. I must say it’s humbling to admit that I have my own struggles – as a coach/trainer, since I should be the example- BUT I realized that by sharing with others that I have my own issues, I become more relatable. I now enjoy sharing my weaknesses and how I have worked to overcome them; and still succeed regardless of regular challenges and struggles. What I’m trying to say is that I understand that it can be hard. I get that putting yourself out there to make a change is seriously frightening. We don’t want to let our trainer/family/friend/etc down. I know that putting money down to make the necessary changes can feel uncomfortable. I also want you to know that I also have my ups and downs and scary moments. The difference is that I just do it anyway. Take a deep breath and jump in with both feet. The hardest step is to start. Once you get started and push past the discomfort , you notice a shift. It’s gradual and it may take a little time before you realize it’s happened; but it DOES come. You WILL surprise yourself if you push forward no matter what. Having support only keeps you moving with more confidence and helps keep you focused on the goal. I have shared all of this with you today to show you that yes, it’s hard. Yes, it’s scary…but that goes for any goal you choose in life. The important word in all of this is “CHOICE”. We all have them. Own the fact that your results and where you are today, are a direct impact of the choices you have made up to this point. No excuses or denying it will change this fact. 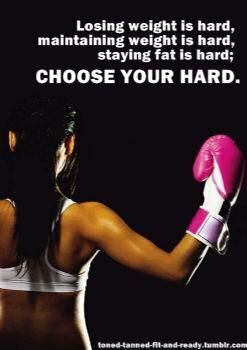 The beauty of it all, is that you get to choose your “HARD”…. Next postand so it begins….again!